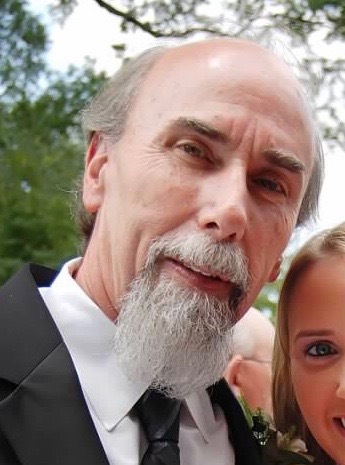 Warren "Jeff" Jeffrey Johnston, 64, of Charlotte, passed away on Friday, March 22, 2019. He was born on June 28, 1954 in Charlotte, NC, the son of the late Donald Edward Johnston and Colleen Beattie Johnston. Jeff attended Harding High School in Charlotte and owned and managed his own exterminating service for many years. Jeff had a deep love for his grandchildren and was very loyal to his family and friends; he would give anyone in need the shirt off of his back. To all who knew him, he was loved and trusted. He always made everyone laugh because he had the best jokes. He had a passion for music and riding his motorcycle. Jeff was known as the "Baby Whisperer" because children loved him and he loved them. Jeff is survived by his daughters, Casey Sills, and Jennifer Johnston; sisters, Lynn Kirk, Jan O'Hara, Leslie Johnston; longtime girlfriend, Angie Rowlette; grandchildren, Willow Grace Sills, Brittany Leah Newton, Caleb Joshua Newton and wife Kaitlyn, Bethany Lynn Newton, Julianna Elizabeth Young, Braydon Lee Young, Kaylynn Grace Young; great grandchildren, Lila Leslie Newton, Ella Grace Newton, Trinity Rose Waller, Savannah Leah Savala; and nieces and nephews, Justin Scott Kirk, Shelby Rae Colleen Lotze, Gabrielle Joseph O'Hara, and Adelyn Noel Lotze.